(Hartford, Conn – 8-18-2014) NPR-Where We Live: The fatal shooting of 18-year-old Michael Brown sent hundreds of angry protesters into the streets of Ferguson, Missouri. On 8-18-2014, Shafiq R. Fulcher Abdussabur appeared live on NPR-Where We Live. This discussion was the first “real and intense” conversation on race and community police relations in America in the days that followed the fatal shooting of Brown. In the show, Abdussabur touched upon the root causes that exists in most urban cities that lead to the hysteria and perceptions of young Black men and the need for President Obama’s administration to take a more direct hands on approach to in helping cities to begin to resolve the underlying causes that contribute to urban gun violence and racial profiling. Later in the day President Obama addressed the nation on #Ferguson for a second time. His remarks came on the heals this NPR-Broadcast on Race, Police, and the State of Young Black Males in America. Here is a link to the show audio 49 min: http://wnpr.org/post/ferguson-missouri-case-study-urban-policing. Please feel free to share this page. NEW HAVEN >> “Joe” once shot someone and believes that part of the impetus for gun violence in the city is self-defense. “It’s all about force, everyone is trying to force someone else to do something their way. Youth use force in many cases to defend themselves on these streets,” said Joe. Joe, which is not his real name, is a convicted felon in his late 20s who agreed to speak with the Register about the city’s gun violence epidemic, from his perspective. National Association of Black Law Enforcement Officers former Chairman Shafiq Abdussabur has worked on strategies aimed at reducing gun violence in New Haven for almost two decades. Abdussabur said a comprehensive look at urban gun violence is key. According to the FBI, in 2013 New Haven was ranked as the 2nd Most Dangerous City for populations under 200,000 people. Flint Michigan was rank number one. Shahid Abdul-Karim received the 2014 Journalism Award from the National Association of Black Law Enforcement Officers Inc. for his outstanding coverage and reporting on stories related to urban violence. 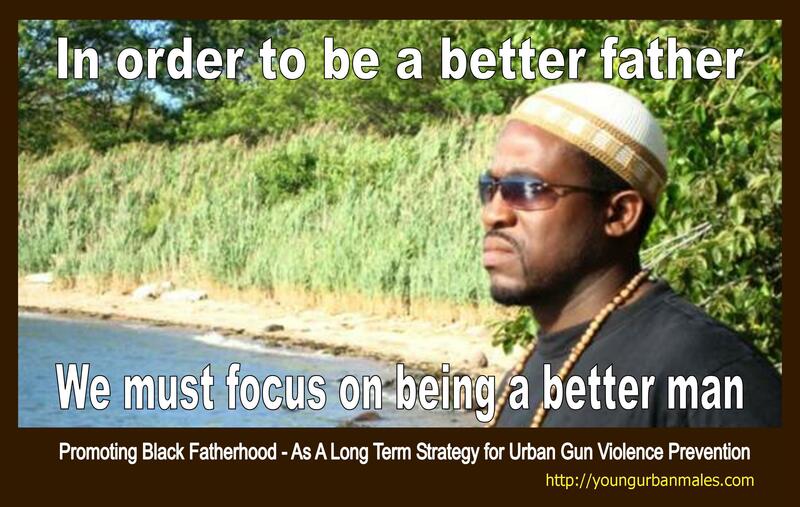 The important step in creating a long-term solution for urban gun violence prevention is through promoting “Black Fatherhood.” Over the past 20 years, in all of the events, talk shows, radio interviews and my personal interactions with youth, the main theme has been that real violence prevention begins at home. The irony is that most victims and the majority of perpetrators of urban gun violence come from fatherless homes. At the end of 2013, Black males still remain the highest group of victims and perpetrators of urban gun violence. Every major and minor urban city continues to struggle with developing long and short-term effective strategies for urban gun violence reduction/prevention. A New Day for Al-Islam in America – radio WPAT 930 AM in New York. Shafiq admitted that it was the earliest interview of his speaking career. However, the topic was hotter than his cup of fresh brewed hot coffee. Share this post with others. (New Haven, CT – Friday, July 5, 2013) The New Haven Police Union Local 530 is the largest police union in the State of Connecticut and they are also one of the oldest police unions in the United States since 1945. They are holding a debate on the topic of Police and Public Safety to decide on which 2013 Mayoral Candidate they may potentially endorse as the next Mayor of New Haven. Union president, Lou Cavaliere Jr., stated that a Local 530 endorsement would include “on the ground” support from his 422 plus members, public support and financial contributions from their State PAC fund. On Monday July 8, 2013 from 6:00pm to 7:30pm, New Haven Mayoral Candidates will take the stage and square off in what is said to be New Haven’s first ever Mayoral Debate on Policing and Public Safety. The event will take place at Marchigian Club (Police Union Hall), located at 226 Cedar Street, New Haven, Connecticut. Candidates will debate questions on “Police and Public Safety” which will include discussions on the PERF (Police Executive Research Forum) report, Police officers pension changes, Police Officer manpower clause related to fluctuating urban gun violence crimes, Concepts of community based policing, Extra Duty jobs- including private security jobs, and the controversial Civil Service “One in Three” rule on promotions. The public is encourage to attend. Doors will open at 5:30pm and seating is limited. Food and refreshments will be served following the debate. The event is sponsored and hosted by New Haven Police Union Local 530, Connecticut Council of Police, and AFSCME Council 15. (New Haven, CT – Thursday, April 4, 2013) To address strategies of gun violence prevention, an interactive workshop on the topic of Successful Strategies to Reduce Gun Violence will take place on Friday April 26, 2012 from 8:00am to 5:00pm, at the Bridgeport Police Academy, 405 Newfield Ave. Bridgeport, Connecticut. This will be an 8-hour one-day workshop for Law Enforcement Officers, Administrators, Educators and Parents. Conducted by Shafiq R.F. Abdussabur, a leading expert on gun violence prevention and community based policing. Abdussabur has been featured in the New York Times, Chicago Tribune, and WNPR for his innovative approach to reduce urban gun violence through preventive methods and intervention programs. This workshop comes in the wake of passionate public discussions and debates as America has been overwhelmed over the past years by disturbing incidents of gun violence in various communities throughout the country. This workshop will address the questions that have been on the hearts and minds of the American public in the wake of tragedies such as Sandy Hook Elementary School. Abdussabur is an active law enforcement officer with over 16 years of Community Base Police training and experience. He designed this workshop to generate open discussion about gun violence and shed light on questions from the experience of being a law enforcement officer and an urban program developer who works with youth at Risk and their families. Often asked are why there is a difference between urban gun violence and suburban gun violence? Will the banning of assault weapons and high-capacity magazines reduce future incidents of mass shootings? What can law enforcement, educators and parents do to prevent gun violence? Can more gun ownership lead to safer communities? Successful Strategies to Reduce Gun Violence has been designed as an interactive workshop to insure that Law Enforcement Officers, Administrators, Educators and Parents will walk away with in depth knowledge of the role that firearms play in the past, present and future of American society. They will have a better understanding of the most effective role they can have in creating safer communities. Most of all, participants will walk away with a dynamic systematic approach to creating and implementing gun violence preventive methods in their communities. With limited space of only 30 participants, early registration is strongly encouraged. Individuals and organization can register for this workshop at http://Boldminds.org. Pre-registration is $125 per person. Register after April 24 or at the door is $175 per-person. Participants will receive a certificate upon completion of the workshop. A donation of 10% of all proceeds will go to the benefit the Bridgeport Explorers. 2 Teens Killed By Urban Gun Violence After President Obama’s Gun Speech? When will more gun laws change incidents like this? Can more gun laws stop tragedies like this? Tell me your thoughts. On a cold winter night, advocates for gun violence prevention and reduction came together in order to form the initial stages of bond that hopes to produce an effective campaign to address the root causes of both Urban and Suburban Gun Violence in cities throughout Connecticut. Chris Randall brilliantly captured the spirit and passion of that historic event. Click photo to see photo essay. On the Coop High School stage, before a live-television audience, they will begin thrashing out the gun-control, school-safety and mental-health dilemmas posed by the Newtown school massacre. You can join right in—in person or online. The event takes place Wednesday afternoon at Cooperative Arts & Humanities High School at the corner of College and Crown streets. Doors open at 3:30 p.m. Admission is free. The discussion and live WTNH telecast begin at 4 p.m. The event will be live-streamed here and at wtnh.com—along with a live-blog discussion in which viewers/readers can participate. WTNH and the Independent have organized events like this one before. One event centered on school reform; click here and here to catch up on that one. A second event previewed a “Don’t Shoot” campaign that has since come to New Haven; click here for more on that event. Reported from HOUSTON (KTRK) — A campus spokesperson has confirmed shots have been fired on the campus of Lone Star College in north Houston. Two victims have suffered gunshot wounds, according to the Harris County Emergency Corp. There are varied reports to injuries of students, faculty and or staff. Students report hearing gun shots from the library area. Other reports have indicated that five gun shots were heard on the North Harris campus (one of six campus). Officials are not sure on the number of shooters. Police, and SWAT team units are on scene. The area to the college is a highly densely suburban community. The Lone Star College System has an enrollment of 90,000 students and six college campuses, according to its website. Its North Harris campus is about 20 miles north of downtown Houston. 2:40 pm Reports from college spokesperson Jed Young: There was a shooting between two students of which one was shot (and is in custody). There were two students who were shot in cross fire. One of the shooter is said to have fled the campus.